This weather is depressing me. So I’m making up for it with some delusional, pretend shopping. 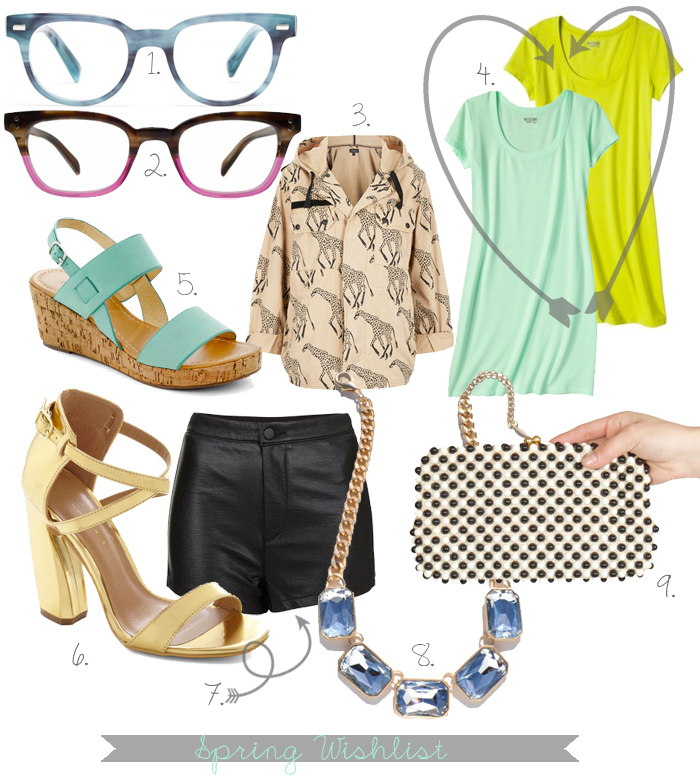 Here’s a look st what is in my fake shopping bag - leather shorts, lots of mint, open toes, and giraffes (obviously). And more glasses, too. I may already have 3 pairs, but I am now convinced that I need a little bit of color. What’s on your Spring shopping bag?